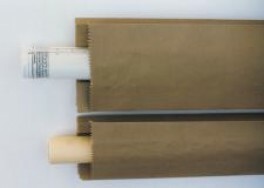 Kraft Economy Plan Bags - GS Direct, Inc.
Multi-purpose brown kraft bags that can be used for storing or shipping plans and documents. Made of two ply 70 lb. kraft paper for extra strength and durability. Sold 25 bags per pack.